Increasing soil fertility, avoiding stubble burning. Upon reaching Anirudh Vashisht’s farm in Sunam in Sangrur district in Punjab, a couple of other people with a camera could be seen. They had come to document the work of farmers like Vashisht who are setting an example, at a time when Punjab’s farmers have had to bear the brunt of criticism from the capital for stubble burning and adding to air pollution. Vashisht is part of the minority in Punjab that does not burn crop residue. The documentarians talking to him had primarily come to film instances of stubble burning. To avoid doing it himself, something which leads to pollution, causes accidents by reducing visibility and harms the soil, Vashisht has been practising mulching. In the process, the stubble is cut and collected, and the small pieces are spread over the soil. While explaining the process, Vashisht took a few handfuls of chopped straw and covered the onion and garlic patches with them: “When we burn stubble, we lose microbes healthy for the soil; friendly insects die. Birds and animals also get injured. But with mulching, the number of useful microorganisms grows. The soil is protected from the direct sun, its health is preserved and since it is able to retain moisture the ground needs less water. That’s why this process is climate smart.” Chasing away a parrot that had come for the fruit of a tree on the farm, Anirudh gave the example of a forest where grass and leaves cover the soil and it remains fertile despite anyone watering it. Some farmers who can afford the machine use a rotavator for mechanically spreading the stubble on to the soil but most land owners believe that doing it manually has better results. But isn’t the manual process of mulching labour intensive? “It is,” Vashisht agrees, “but it is a long-term investment.” Mulching increases soil fertility and yield and therefore ultimately it would be profitable. Seema Jolly in Karodan village, Mohali, also prefers to put in human labour in the process of mulching because she does not find the use of big machines consistent with her organic farming practices and principles. 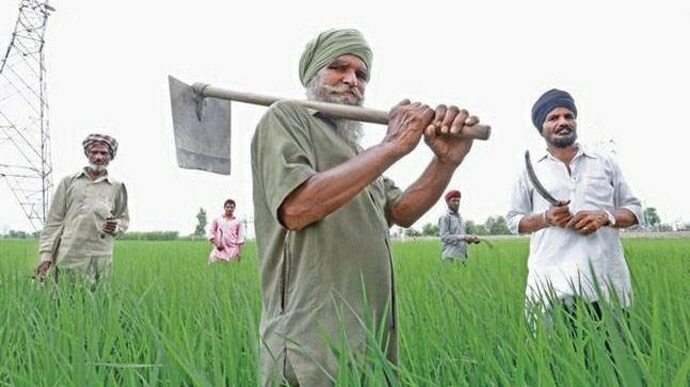 In Barnala’s Pharwahi village, Ravdeep, who is also into organic farming, recalled that even when he was a regular farmer using chemical fertilisers he did not feel comfortable with burning and still used mulching. There have come to light other uses for the stubble that comes after a paddy harvest, instead of burning it and adding to climate change. It is being used for power generation, by the paper and packaging industry and, possibly, for furniture. Why hasn’t mulching become popular in the state yet? Farmers complained that labour is scarce, especially since many have been absorbed by NREGA (National Rural Employment Guarantee Act) works, and turn out to be expensive for the farmers if employed in huge numbers. Time is also a factor. To reduce water use, the government has shifted the rice sowing time further ahead. 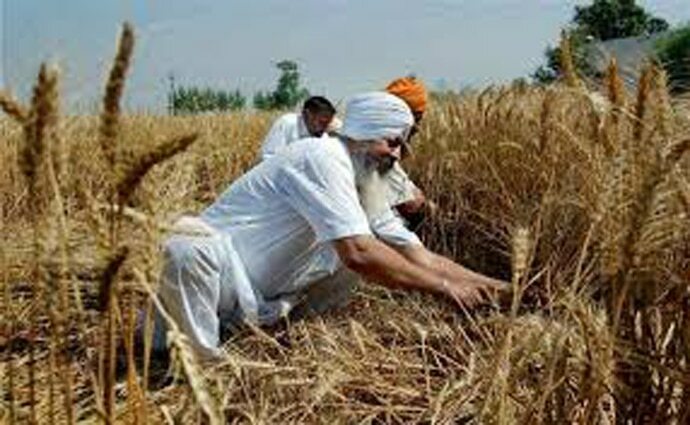 This means that as soon as farmers harvest paddy, they have to clear the field and sow wheat. In such a scenario, mulching seems time-taking compared to burning the straw. Some farmers also believe that mulching makes the soil uneven and prone to attacks by rodents. But the farmers implementing this practice, including Vashist, saw it more as a prejudice. Buying the straw for commercial use by private parties is not widespread yet. A few of the residents living around farms said that the pollution around has decreased since the government started imposing a penalty on burning. But this measure could not stop the practice at a larger scale. It led to resentment in the agricultural community against what they see as government’s apathy to their problems. Most farmers using mulching consistently are also those who are doing organic farming and therefore have an overall, larger vision of how agricultural practices should not adversely affect plant, human, animal or environmental health in general. But both organic farmers and experts admit that for the farmers relying heavily on chemicals and under the pressure to get high yields quickly for financial returns, the shift to organic farming, of which mulching is already a part, will also have to be incentivised by the government, especially in the transitional phase. This article is being published as part of the GIZ-CMS fellowship. Delhi based writer and co-founder of the street theatre group Aatish.